Ultra-heavy grade, high temperature resistant fabric, designed for use in severe molten splash applications in the primary metals industry.Tough, durable and very versatileOur heavyweight - Pyroblanket 96 oz (3260 g) /m2) is constructed from a glass fiber base fabric, coated one side only with a very thick layer of specially compounded silicone rubber that sheds molten splash almost instantly, before heat transfer can occur.It is used primarily for fabrication of specialized covers and curtains in applications such as electric arc furnace (EAF), blast furnace and casting, where severe molten splash occurs. 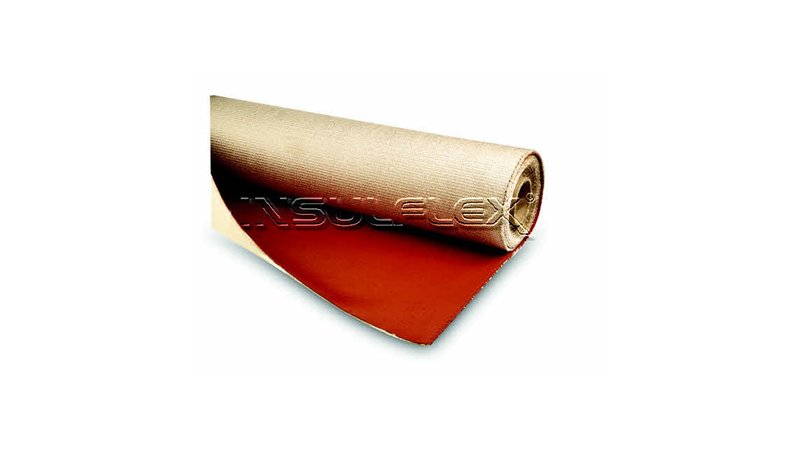 It can be cut and sewn into custom shapes and formats, or used with other Insulflex high temperature fabrics to create unique protection products for the most severe industrial applications.Withstands contaminants, high heat and flameThe silicone rubber coating is completely impervious to water, moisture, hydraulic oils. When exposed to high temperatures or molten splash for extended periods, the coating transforms into a silica refractory crust.Stock or custom formatsPyroblanket 96 oz is sold in 40" (1016 mm) x 150 ft (45 m) rolls. It can be supplied in short cut lengths, customs shapes, or as fabricated curtains with grommets.Guard against fraying and absorptionNewly developed Odourless End Dip is designed to coat Pyrojacket® and Pyroblanket at the ends. This special formulation of liquid silicone rubber prevents fraying and the absorption of flammable oils or other contaminants into exposed glass fibers.